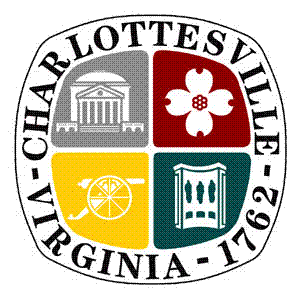 The City of Charlottesville will begin working on repairs to the Dairy Road Bridge in May 2017. The majority of work to the bridge will happen over the summer while schools are out of session. However, in order to have the project substantially complete before the next school year begins in August, some work will be done in the spring. The work will include repairs on the top of the bridge, repairs to the underside of the bridge and the installation of a new 10′ wide pedestrian bridge to replace the existing sidewalk, which is beyond repair. The pedestrian bridge will be installed in advance of removing the existing sidewalk to maintain pedestrian access. Once the pedestrian bridge is installed, crews will begin the removal of the existing sidewalk and bridge deck repairs will follow. As a result of the work, there will be some impact to traffic on Route 250, Dairy Road Bridge and surrounding neighborhoods. City staff is working with the contractor to devise an appropriate traffic control plan to minimize disruption. In general, at least one lane of the Dairy Road Bridge will remain open during the day to maintain two-way vehicular access by use of flaggers. Occasionally, the entire bridge will be closed at night while some of the work is performed. One lane in each direction will also be maintained on Rt. 250 during the day, with limited full closures at night so that certain aspects of the work can be completed. Notices will be distributed to impacted properties and parties that outline specific traffic control components prior to implementing detours, lane closures, etc. prior to beginning those phases of work. The contractor will begin mobilization as early as May 1st, but there should not be any significant traffic impacts until mid-May when some of the underside work will begin. Impacts to traffic on Dairy Road Bridge are not anticipated to start until mid-June after school is out.